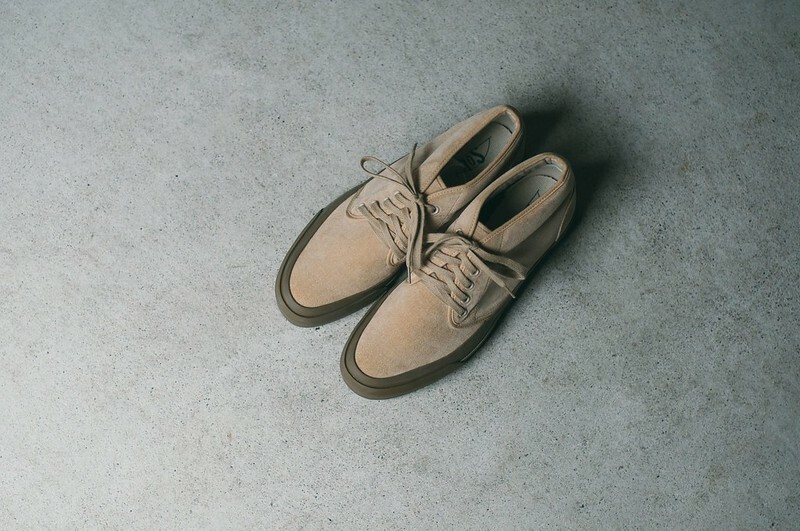 The first model of this new line keeps the chukka design of SOLS, but the upper has been updated after thoroughly reviewing the entire specifications, and VELVETEEN is adopted for the renewed upper. It is historically used for straps of geta and tabi. Even though it is made with 100% COTTON, this nap-raising fabric is reminiscent of fine suede.